Abstract: This investigation into the study of the Viking shield will include analysis and interpretation of archaeological material, from England and the Isle of Man, with wider parallels being drawn upon from the Scandinavian homelands. 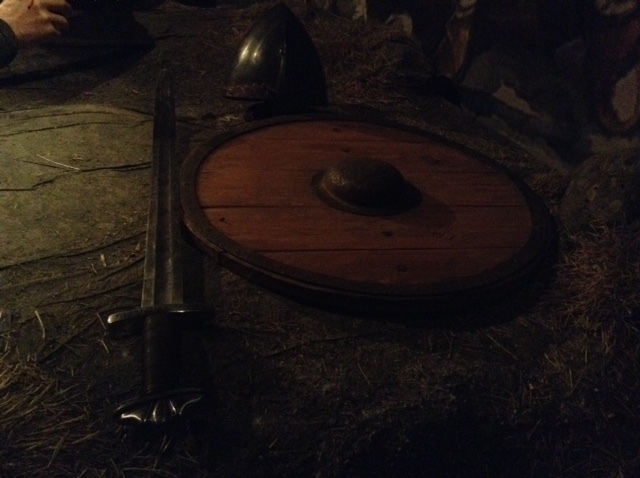 Historical evidence from Saga’s and historical accounts for this period will be used to enhance the vibrancy of the Viking shield and show the role of it as a symbolic object within Viking Society. This is an ever evolving topic of study and it has opened up new areas for investigation as well as the potential for further cataloguing and re-evaluation of Viking age archaeology throughout the 8th-11th centuries. Introduction: The Viking shield although a very iconic object, it is an item which has not received the same kind of artefact analysis in recent years as maybe some other objects have from the Viking Age. The studies done on Viking Age combs have enabled a greater understanding on manufacture, trade and exchange. The extensive artefact analysis of tortoise brooches and keys at Ribe, Denmark has shown the qualities of Viking age craftsman but also enabled good chronologies and distinct typologies to be developed.